1. 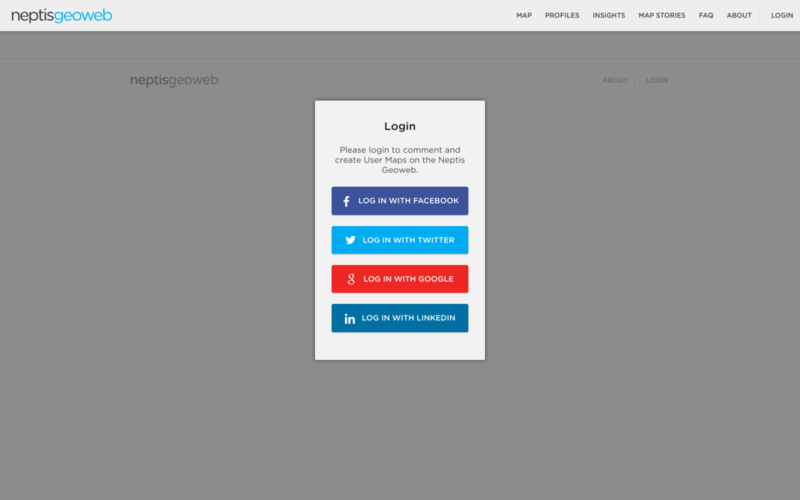 What is the Neptis Geoweb? 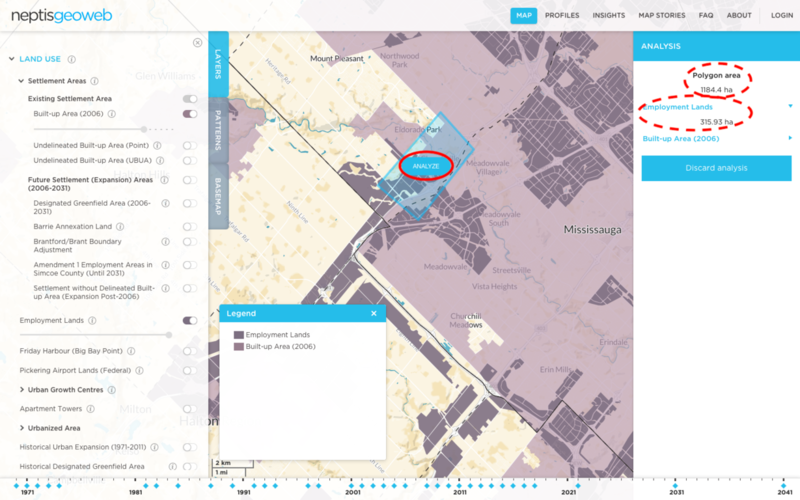 The Geoweb is a publicly-accessible web application that provides the tools and resources to create maps, collect statistics, and learn from visual narratives that serve to improve the public’s understanding of how the Toronto region has grown and changed in the past and how it will accommodate growth and change in the future. 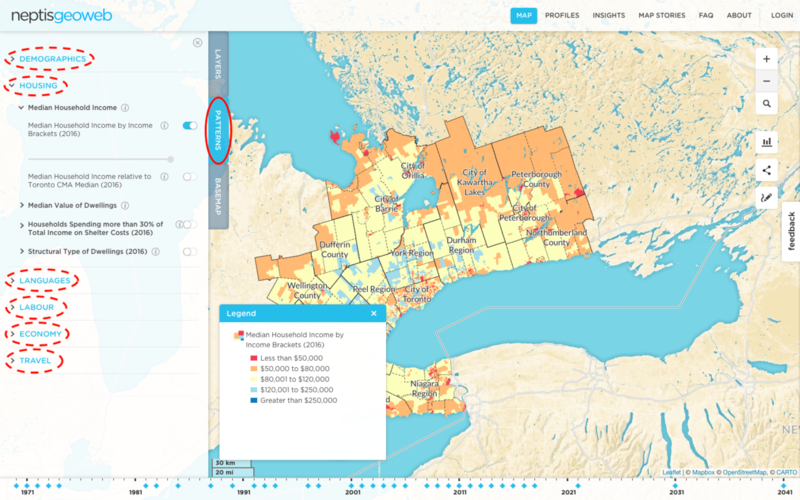 It is the product of the Neptis Foundation’s stewardship of spatial data about the region resulting, from a 20-year research program and several key partnerships. 2. 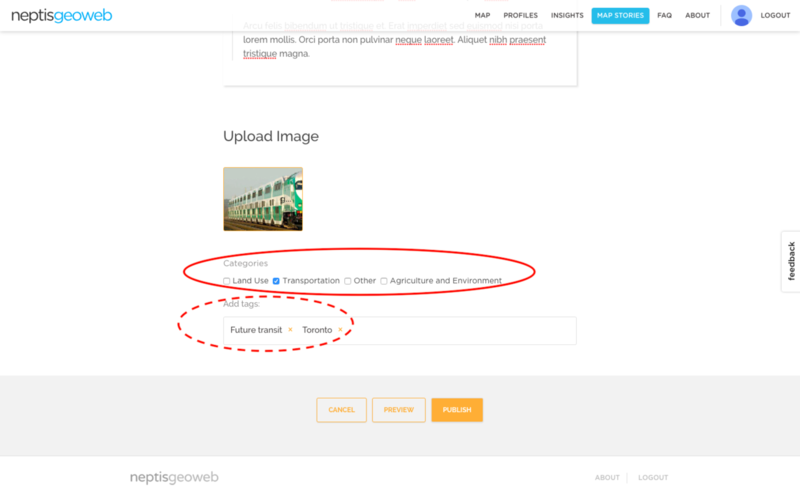 How is the Geoweb organized? 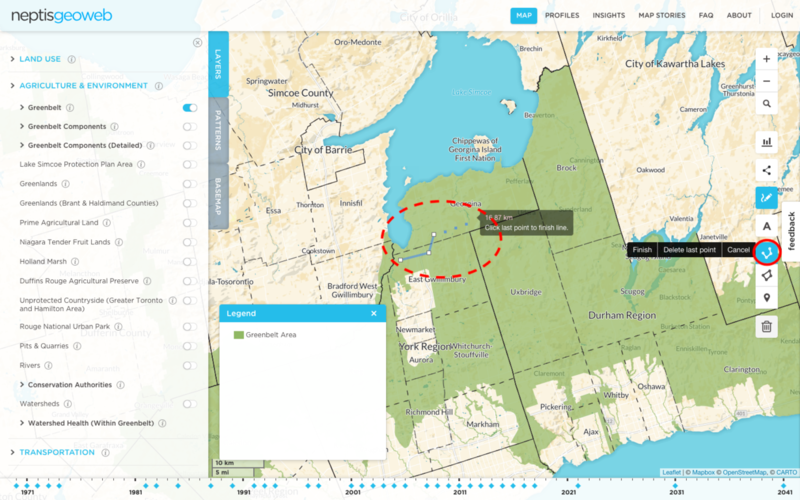 The Geoweb features data-driven content that is organized into four main sections of the website. 3. How is the MAP section organized? 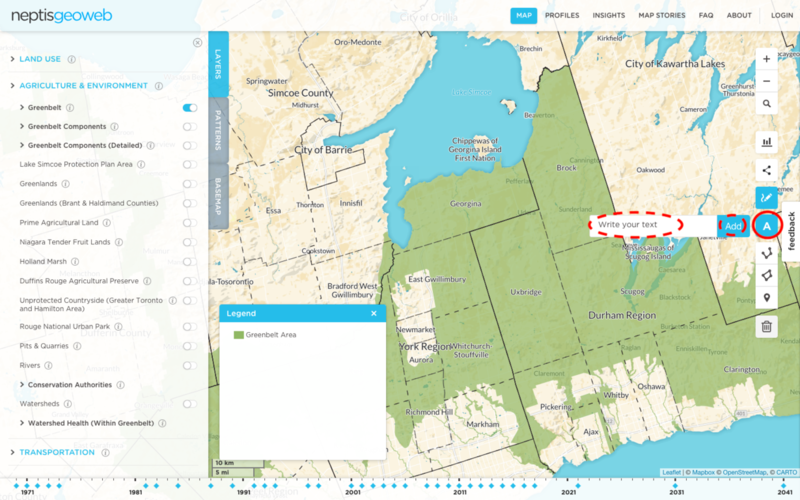 Upon arrival on the Geoweb, a user encounters a map of the municipalities that comprise the extended Toronto region which is also referred to as the Greater Golden Horseshoe. 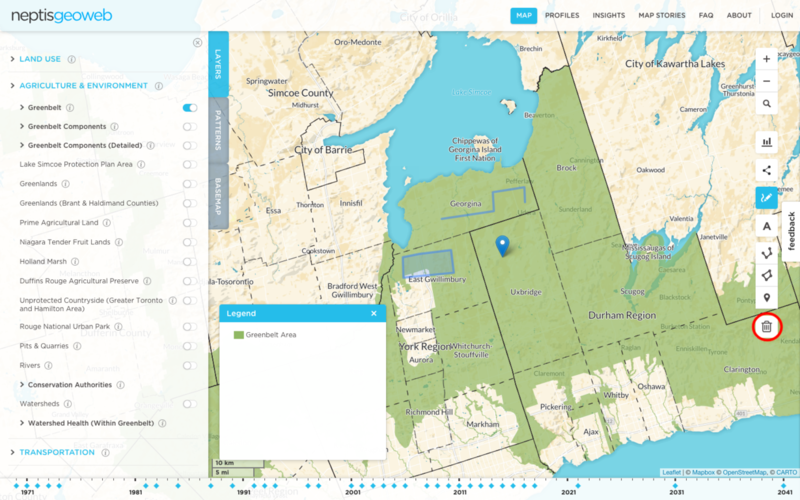 The opening Map page invites users to choose map Layers from the side menu to create their own map choosing from the themes: Land Use, Agriculture & Environment, Transportation. 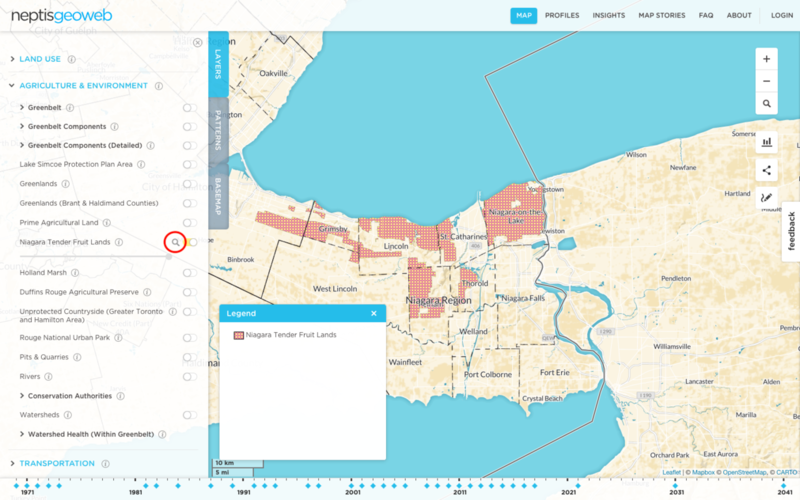 Alternatively, by navigating to the Patterns tab, a user can create a map with featured data from Census of Canada or the Transportation Tomorrow Survey found under themes: Demographics, Housing, Languages, Labour, Economy, and Travel. 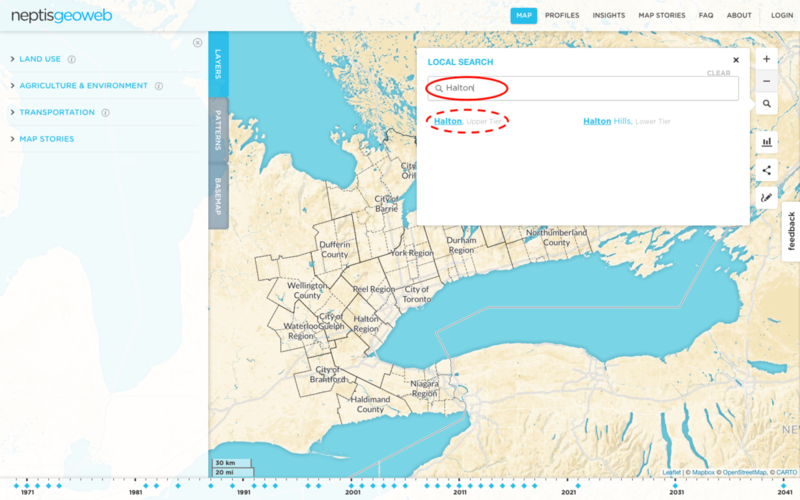 To change the “canvas” upon which a user can build a map, navigate to the Basemap tab. The default basemap is a terrain map which highlights heights and natural depressions on the landscape. The “canvas” can be changed to a white background using the Simple map. 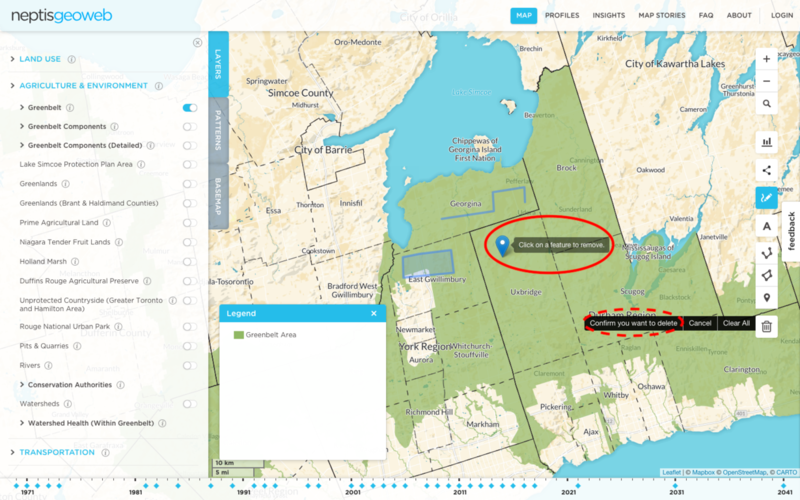 Finally, the “canvas” can also be changed to imagery basemap using Satellite Hybrid which features the latest Bing satellite imagery. 4. 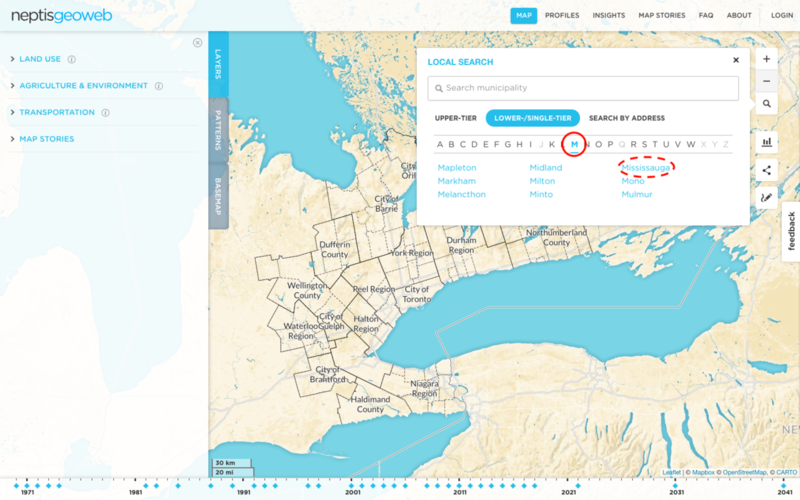 What can I find in the PROFILES section of the Geoweb? The Profiles section of the Geoweb contains a snapshot of land use, demographic, housing, cultural, and economic conditions for over for 115 different geographies in the region at three different scales—lower-tier municipalities, single- or upper-tier municipalities, and regional geographies. Users can find their geography of interest using a List or Map. 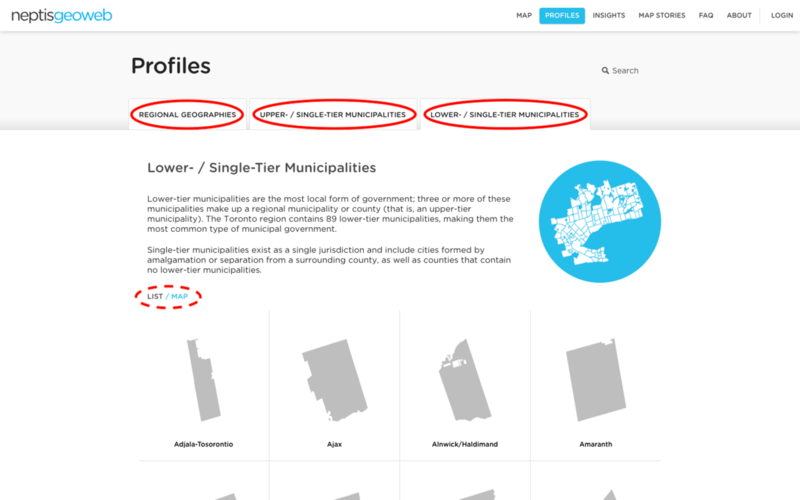 The side menu icons help guide users through 80+ indicators to provide an overview of communities in the region. 5. 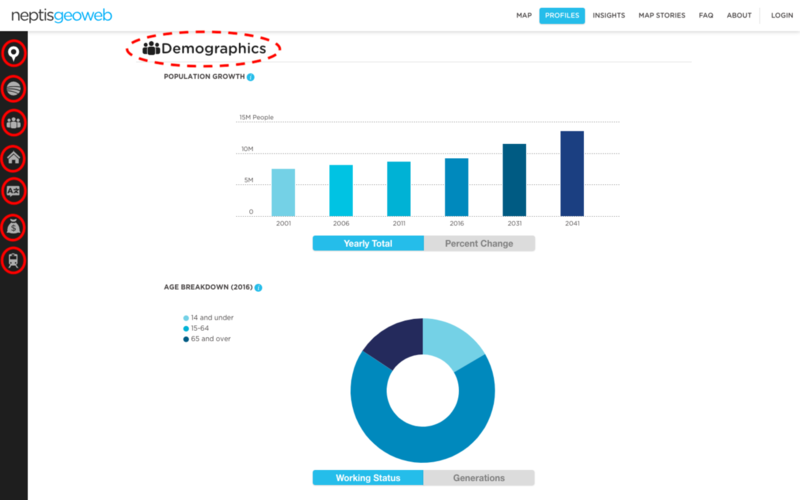 What can I find in the INSIGHTS section of the Geoweb? 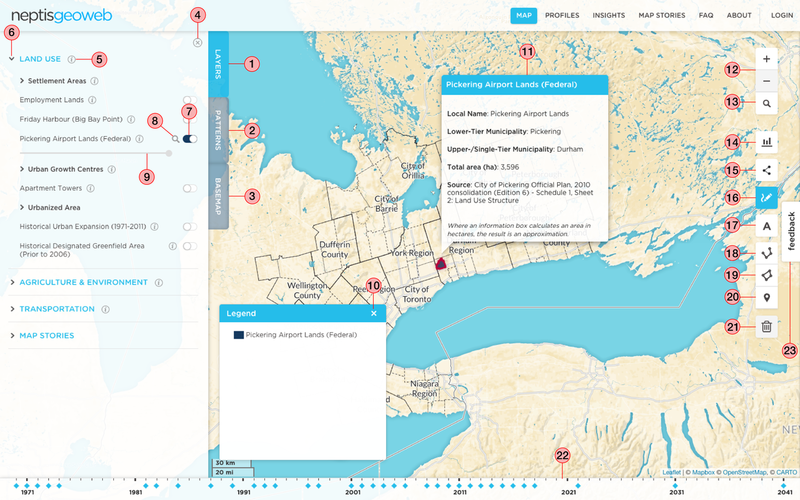 The Insights section of the Geoweb contains visual narratives created by staff members as way of showcasing different map layers and data sets featured on the Geoweb. 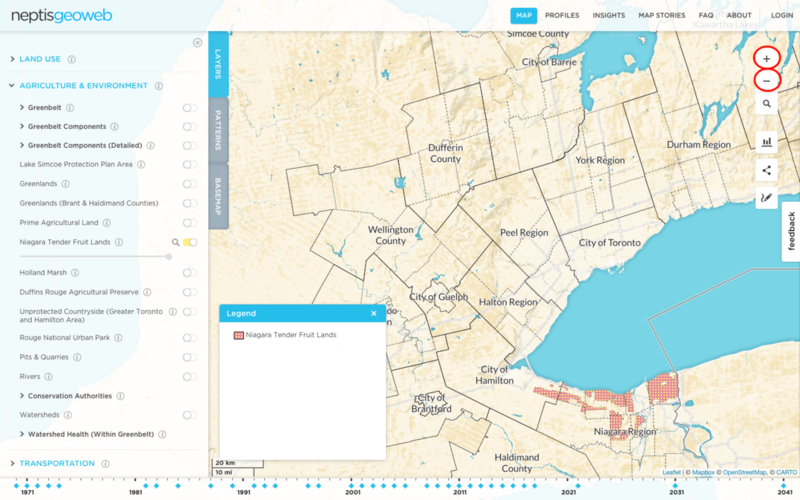 Some Insights focus on the juxtaposition of map layers which may reveal and inform public debates on an issue such as transit planning or access to jobs. 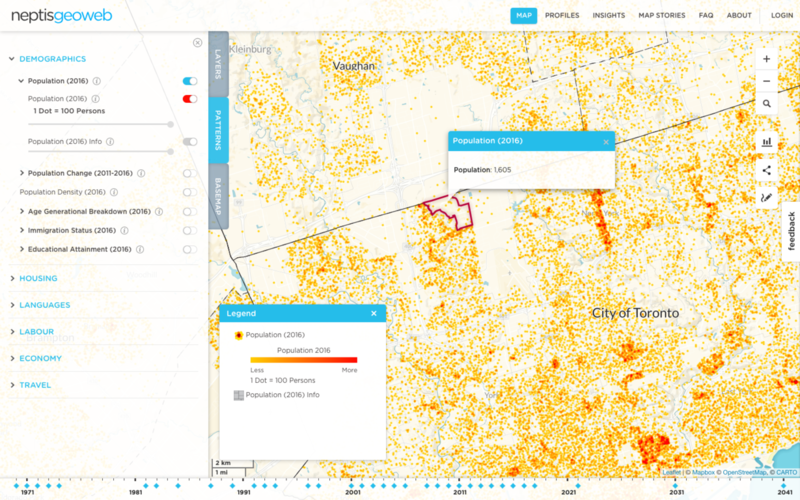 Other Insights combine data from Map and Profiles section to tell a historical story such as how and where the population has grown over time. 6. What can I find in the MAP STORIES section of the Geoweb? 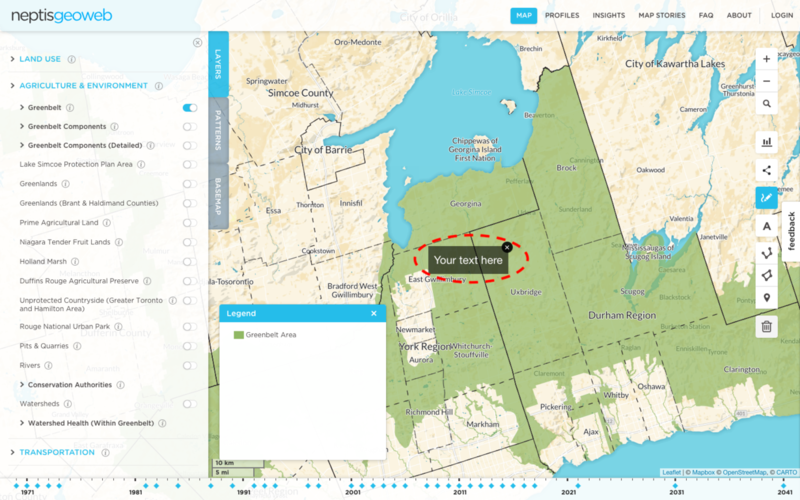 The Map Stories section of the Geoweb is where users can contribute content. 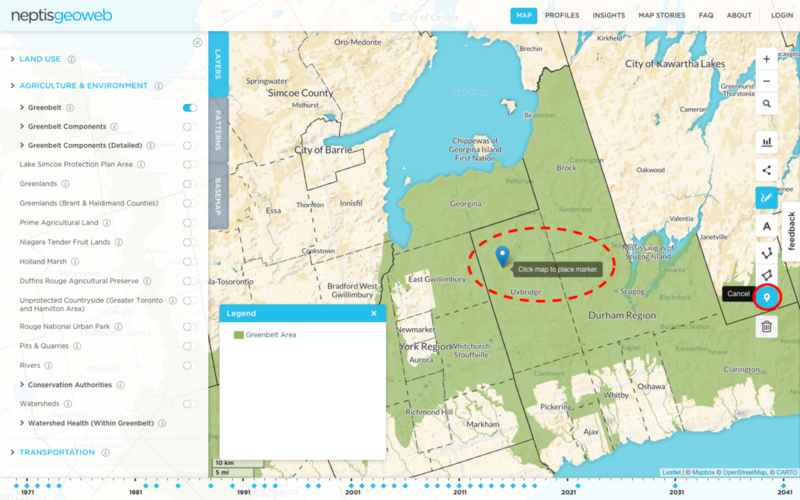 Map Stories allows users of the Geoweb to make a map, describe the significance of the map, tag it with a relevant thematic category (e.g. 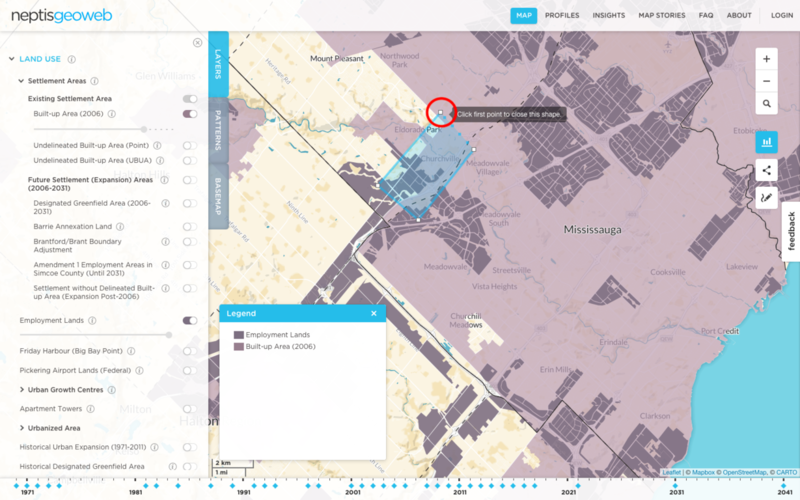 Land Use, Transportation, Economy, Agriculture, Environment), and share it on the Geoweb. For instructions on how to create a Map Story, click here (add a link to FAQ link below). 7. What map layers are found in LAND USE? 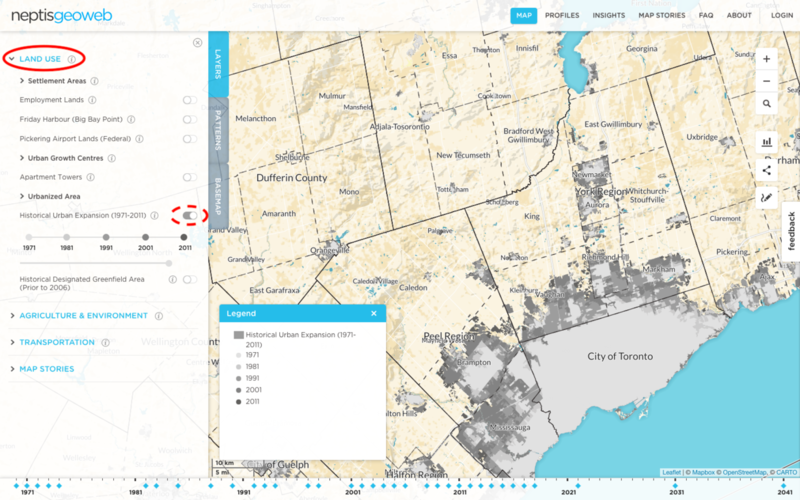 LAND USE map layers illustrate where development has occurred and where development is planned in the urban and rural communities of the Greater Golden Horseshoe. 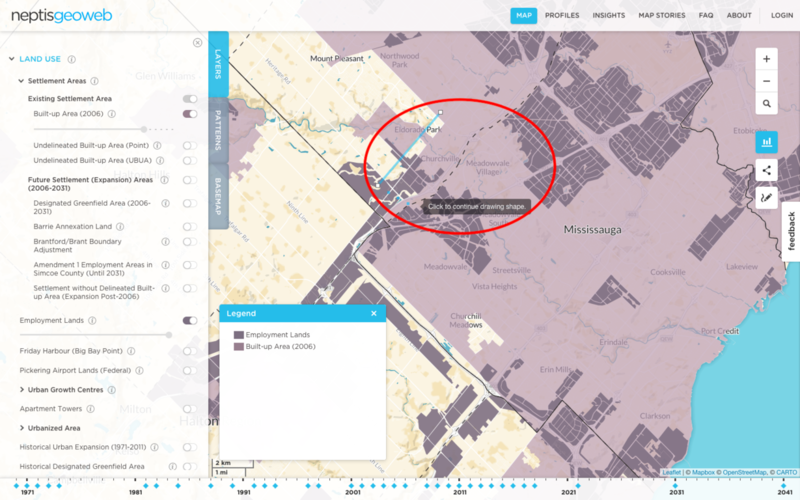 It also contains key policy layers that influence the shape of development, such as the Urban Growth Centres and Employment Lands. 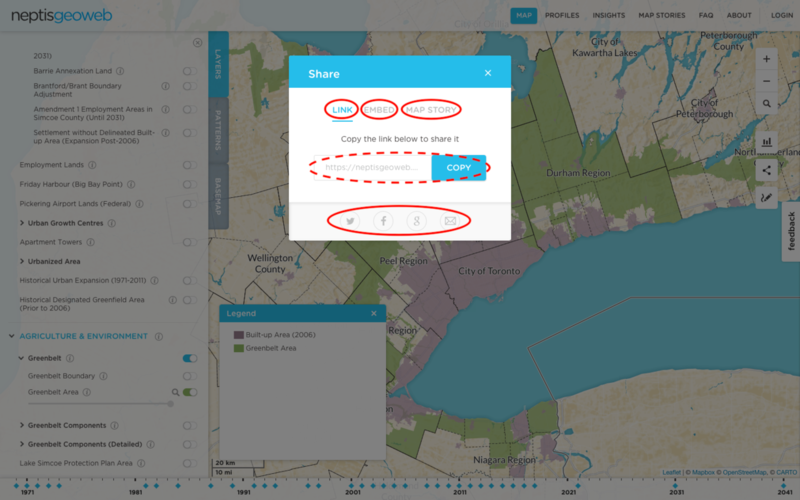 The LAND USE layers can be turned on and off using the toggle switch. 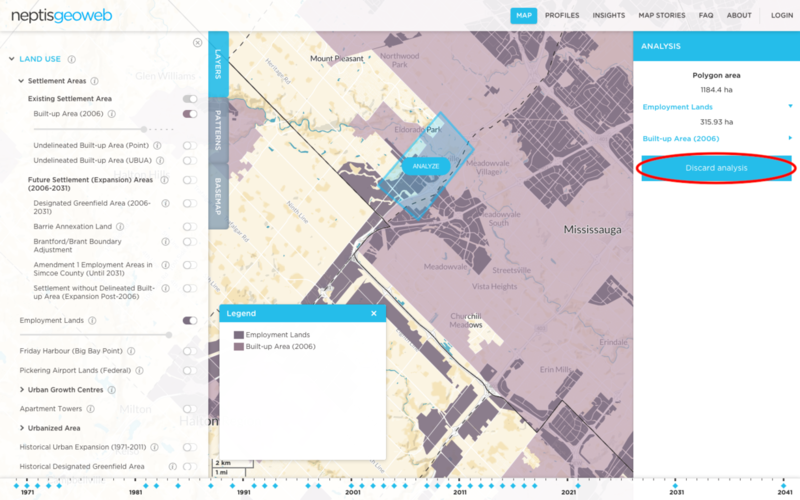 Some LAND USE map layers are grouped. 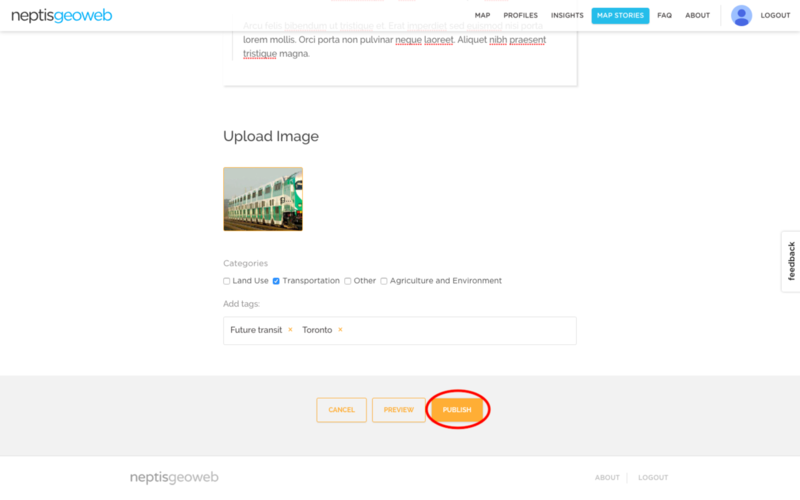 The group can be expanded and reveal more layers by clicking on the > symbol which will turn 90 degrees clockwise into a down arrow position when activated. 8. 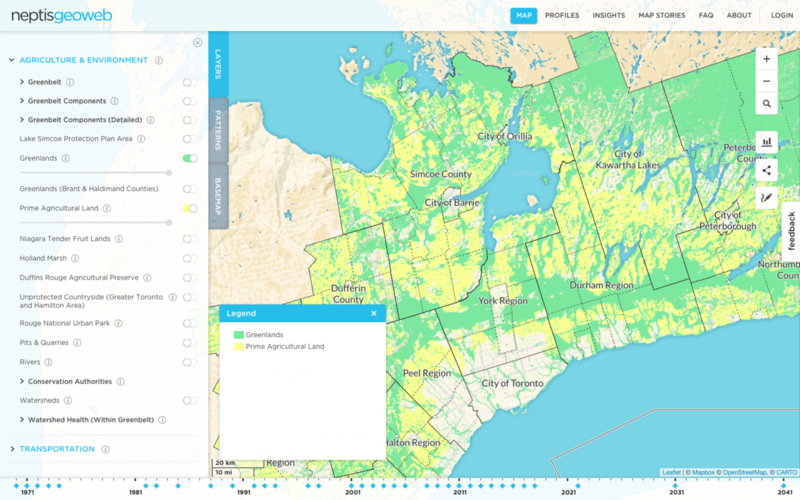 What map layers are found in AGRICULTURE & ENVIRONMENT? The AGRICULTURE & ENVIRONMENT map layers illustrate farmland and related policy layers, natural heritage features, conservation and protected areas. 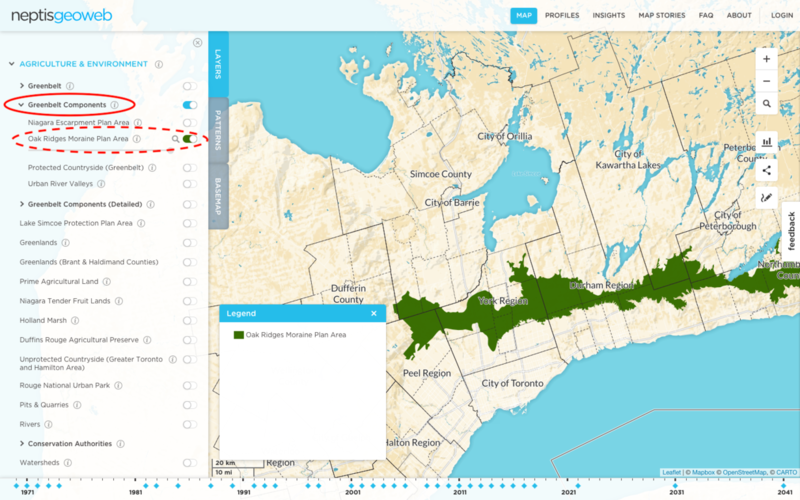 Some AGRICULTURE & ENVIRONMENT map layers are grouped. The group can be expanded and reveal more layers by clicking on the > symbol which will turn 90 degrees clockwise into a down arrow position when activated. 9. 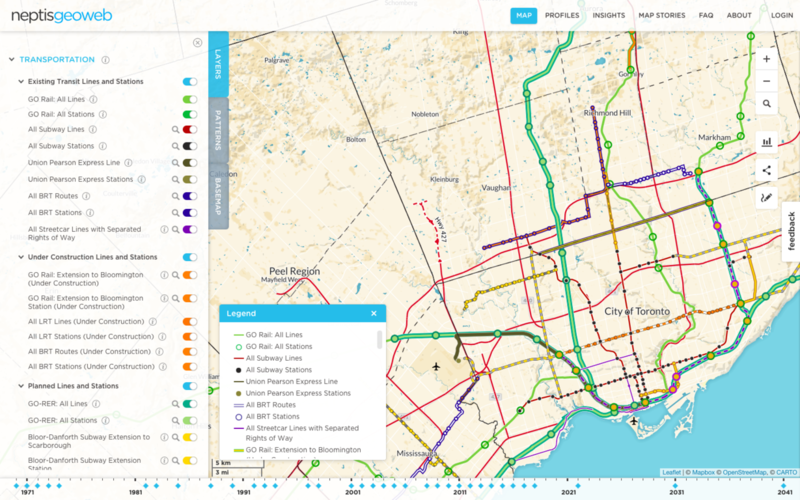 What map layers are found in TRANSPORTATION? 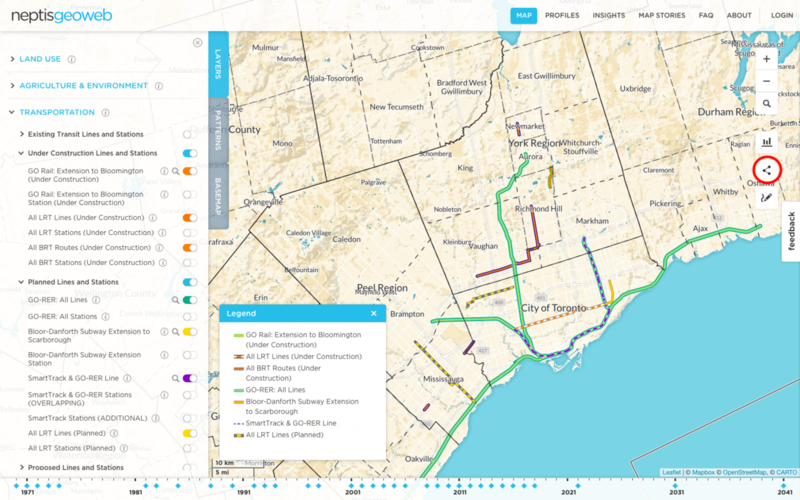 Transportation map layers major all major road, rail, transit, and waterway infrastructure in the region. 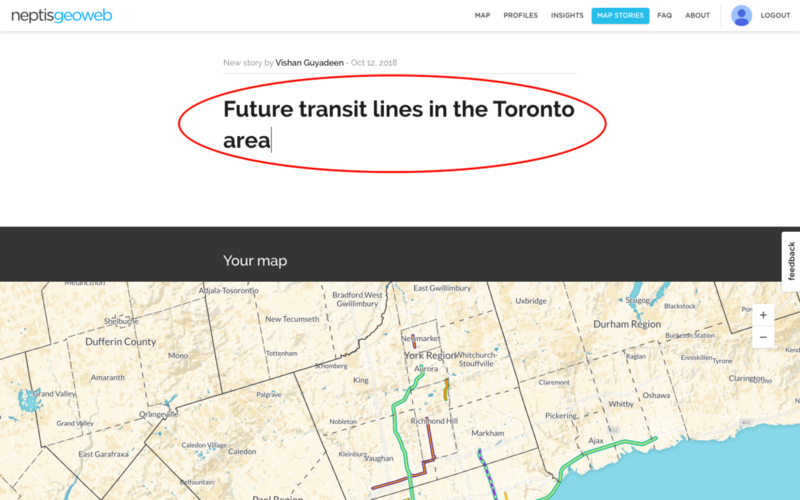 Some TRANSPORTATION map layers are grouped. 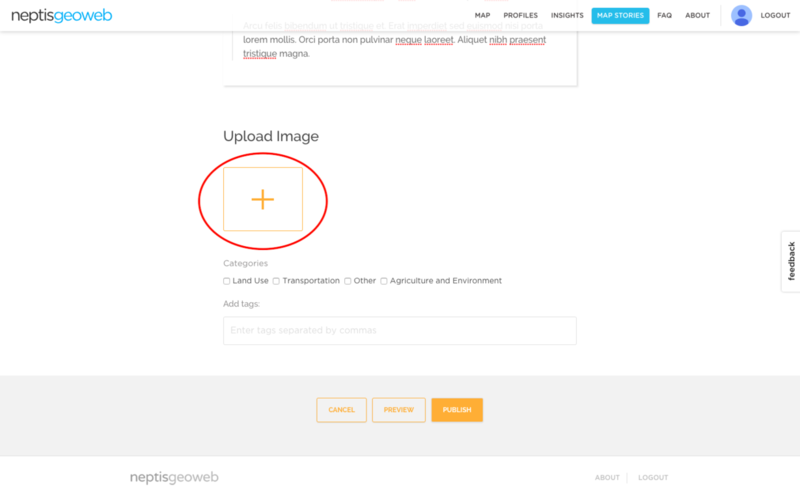 The group can be expanded and reveal more layers by clicking on the > symbol which will turn 90 degrees clockwise into a down arrow position when activated. 10. 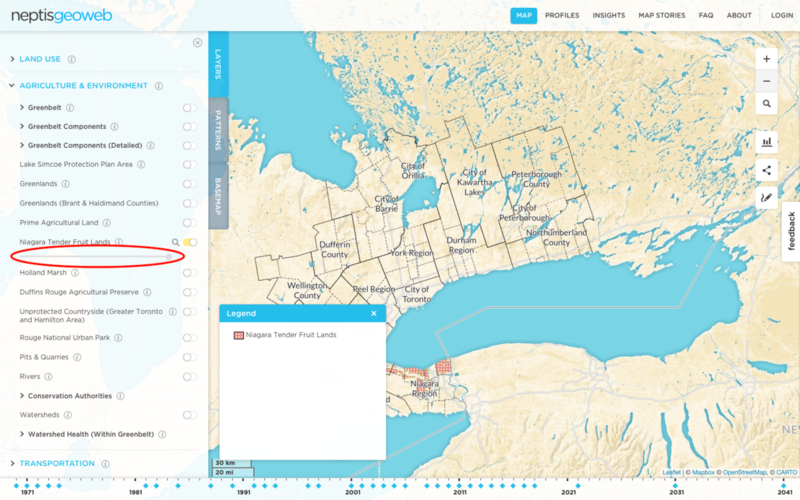 What map layers are found in the PATTERNS tab of the MAP section? 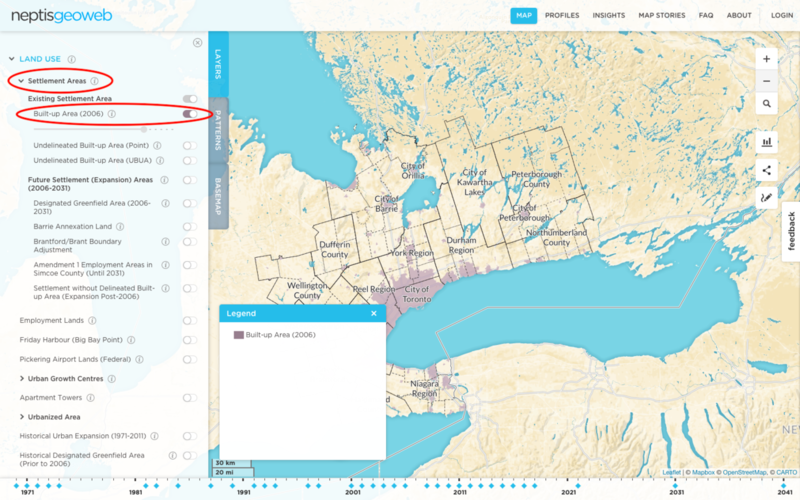 The PATTERNS tab contains over 50 indicators from the Census of Canada and the Transportation Tomorrow Survey (TTS). 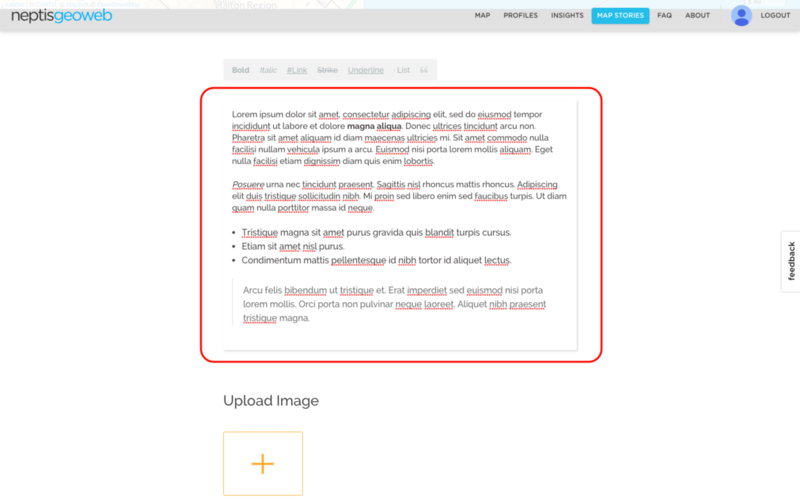 These layers are organized by themes. Each indicator has two map layers associated with it, a “stylized” layer and an “info” layer. With the info layer turned on, the census or TTS geographic unit is barely visible. This layer allows retrieval of information for a specific variable. 11. How do I create a map? Choose a combination of layers by navigating the tabs (Layers, Patterns, Basemaps) and navigating the themes. 12. 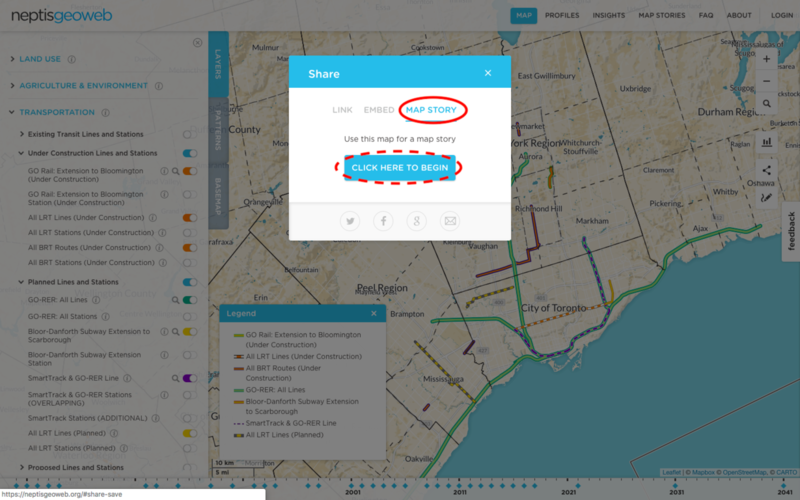 How do I share a map? 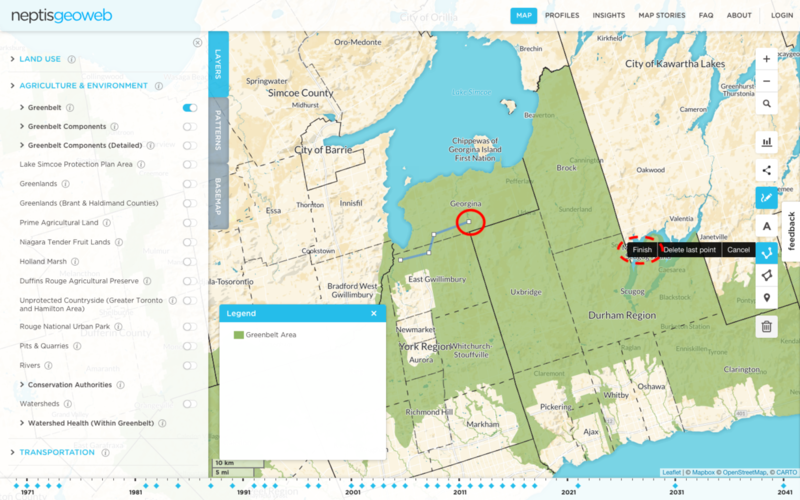 There are several ways to share a map: by copying the Link or Embed code, by email and social media, or by creating a map story on the Geoweb. 13. 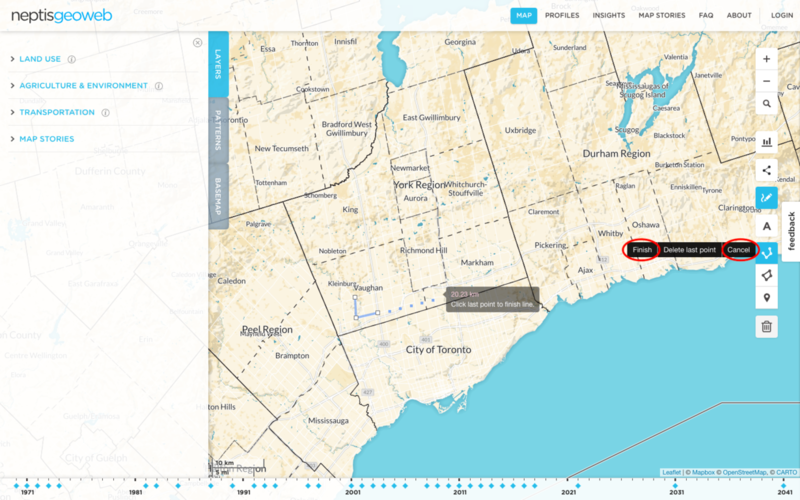 How do I search for an address or municipality on the Geoweb? 14. How do I mark-up my map with text or draw a line, marker or shape on my map? 15. 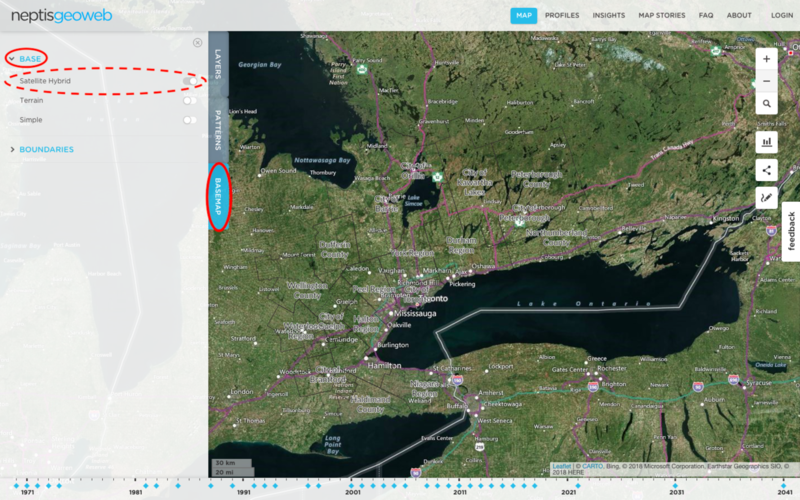 How do I measure distance on the map? 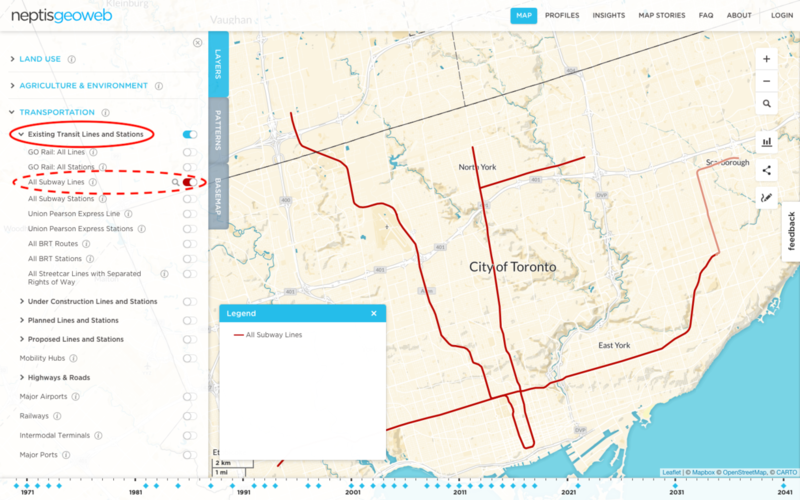 Select the Line tool and begin to draw a line by clicking along the map. Distance will be measured as you draw. 16. How do I measure area on the map? 17. 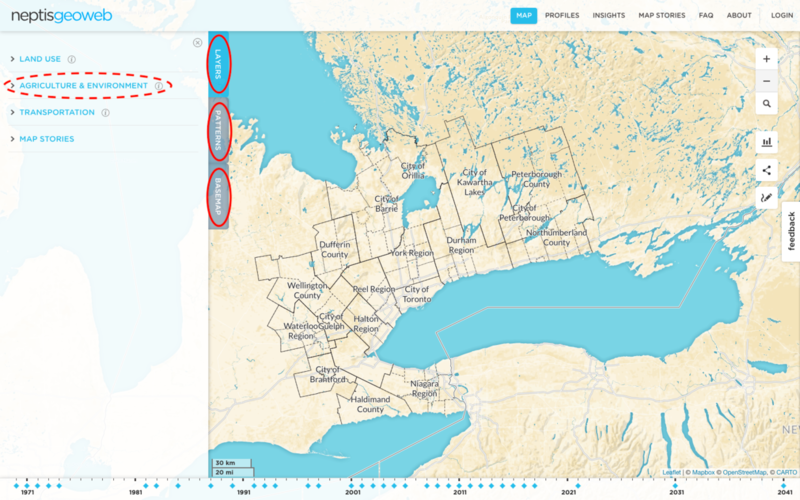 How do I find out more information on the source of a map layer or a description of a data set? 18. How can I contribute a map to the MAP STORIES section of the Geoweb? 19. Where can I find an overview of the main tools and functions of the map section? 20. 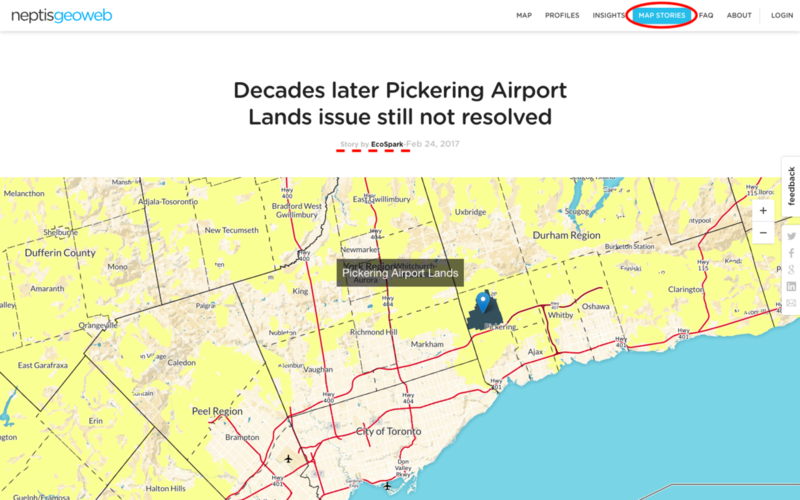 Why is the map not displaying correctly on my browser? 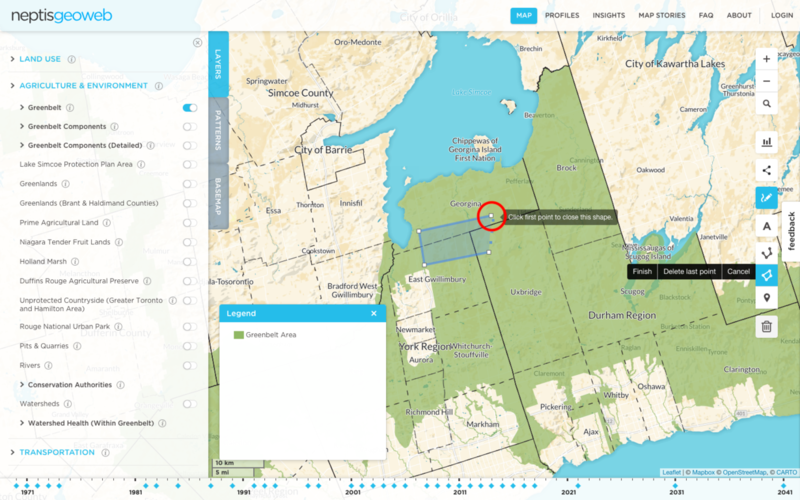 Web browsers are built differently and in some cases (such as Safari) can interact unpredictably with the mapping software used on the Geoweb. This may result in some maps not displaying correctly. We are continually working to improve the performance of the Geoweb in different browsers; however, if you do experience performance issues, we recommend using a different browser such as Chrome or FireFox.